Cave Creek, Arizona to/from Phoenix Sky Harbor International Airport (PHX). Great Flat Rates! More often than not, our town car flat rate fares to and from Cave Creek and the Phoenix Airport (PHX) are less than taxis charge for the same service. So, why travel in a taxi when you can travel to the airport in style and comfort in any one of our luxury vehicles. >> VIEW OUR RATES. A Luxurious Vehicle Fleet. Whether you are a single executive, traveling couple or a large group, Roadrunner has the right vehicle for you. Depending on the amount of passengers, Roadrunner Limousine’s fleet includes town cars, limousines, SUV’s, passenger vans and even 30+ passenger coaches. All our vehicles are clean, comfortable, private late model luxury vehicles equipped with GPS Navigation systems. 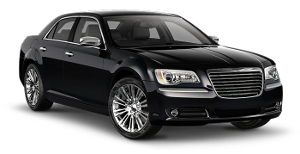 So, why take a bumpy taxi from Cave Creek to PHX when a luxury vehicle is available at Roadrunner Limousine? Roadrunner Limousine, serving Cave Creek and Phoenix, Arizona, provides exceptional service for its executive clients. Our executive guests expect reliable, convenient and comfortable transportation to or from Cave Creek and the Phoenix Sky Harbor International Airport. As important as it is to provide our executive passenger with optimum service, working effectively with their executive assistants and travel coordinators makes everyone’s job easier. For them, we have a state-of-the-art online booking and account monitoring system accompanied by a highly trained staff to help develop and execute the most sophisticated travel plans that any busy executive or corporate group might need. First Time Coming to Cave Creek, Arizona? The mission of the Cave Creek Museum is to preserve the artifacts of the prehistory, culture and legacy of the Cave Creek/Carefree foothills area through education, research and interpretive exhibits. Begun as an historical society in 1968 by a small group of volunteers, the Museum took form when land was donated by Frank and Hazel Wright, and the old Episcopal Church was relocated to that site. Donations and gifts of local historical significance poured in. In April of 1970 the museum opened its doors for visitors. The Museum, a largely volunteer organization, represents the dedication and generosity from the people in Cave Creek & Carefree. It is a pleasure to present the pre-history and history of peoples living life in the north desert foothills. Since its incorporation in 1991 the Desert Foothills Land Trust (DFLT) has evolved into a committed and stable organization dedicated to protecting the special places unique to the Sonoran Desert foothills area of central Arizona. At its conception DFLT was an all-volunteer organization. Presently, the organization consists of 15 volunteer members on the Board of Directors, a staff of three and dozens of other talented volunteers that serve in various ways. The DFLT conserved properties are overseen by trained Stewards, the organized hikes are lead by trained Docents and the majority of our events and projects are overseen and organized collectively by volunteers with a variety of background experience. DFLT staff and docents lead hikes throughout the year to many of its 14 preserves. The Black Mountain Conservancy, a nonprofit, 501(c)(3) land trust, works with other land preservation organizations, such as the Desert Foothills Land Trust, to moderate development on the mountain. We raise money to purchase land, we sponsor awareness programs, we support the efforts of the towns of Carefree and Cave Creek to pass ordinances that protect hillsides and contain development, and we encourage landowners who want to build on the mountain to blend their homes into the environment. The 250-acre preserve at the top of Black Mountain provides a vital habitat for native plants and wildlife, which are disappearing at an alarming rate throughout this region of the Sonoran Desert, due to encroaching development. The Black Mountain Conservancy’s goal is to protect this preserve by keeping as much of the surrounding mountain as possible in its natural state. We provide periodic guided hikes of Black Mountain during the cooler months, each guided group is limited to 8 participants. Click HERE for a copy of the current hiking schedule. Located north of Phoenix, this 2,922-acre park sits in the upper Sonoran Desert. Ranging in elevation from 2,000 feet to 3,060, this desert oasis provides any hiker and equestrian majestic views. The Go John Trail loops around a mountain to provide the illusion of being miles away from civilization. In the 1870s, fever stricken gold seekers staked their dreams on the jasper-studded hills. Guided trails to these sites give visitors an opportunity to travel back in time. The newest addition to Maricopa Countys Regional Parks System, the conservation area encompasses 2,154 acres of diverse, rugged upper Sonoran Desert. The north Valley location contains fascinating archaeology sites and lush riparian areas along Cave Creek, which flows throughout the winter months. Remnants of early mining and ranching, from which the park gets its name, are still apparent in the park. This area is a must see for all wildflower lovers in the spring. The abundant vegetation present in the conservation area provides a rich habitat for a diverse assemblage of wildlife. The park offers a variety of guided hikes and special events throughout the year.